With all the changes happening at LinkedIn, users will need to adjust too in order to get the most out of this social network. The redesign aims to increase the time you spend on LinkedIn, improve the way information is shared across the network, and make your connections more meaningful. Essentially, it’s going to help you build a more effective professional brand with its more than 160 million global users. Here’s what you need to know…. Now that Twitter and LinkedIn have parted ways, you’ll need to go directly to LinkedIn to share updates. It’s a savvy move because it means fewer people cluttering the professional networking site with 140 snippets about what they’re having for dinner. 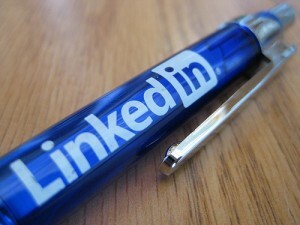 When you share on LinkedIn, you have to make the effort to do it through LinkedIn. This effectively weeds out personal updates, solidifying LinkedIn as the place where you go to sew and reap more professional information. You know the section in your profile that says “People Who Have Viewed Your Profile”? Now, when you hover next to their names, you’ll have the option to connect with a single click (if you’re not connected) or send a message (if you are already connected). This feature gives you the opportunity to connect quickly with people who are searching for you or people with your skillset. This, of course, shouldn’t be an excuse to spam users with invitations to connect. Instead, it’s a way to keep your connections focused on aligned skillsets, career aspirations, and potential professional opportunities. As for your existing connections, the streamlined option to send a message encourages users to send a friendly note. A quick message sent to an old boss or coworker keeps avenues for future opportunities open. Take advantage of it and keep your network vibrant, active, and healthy. The new LinkedIn features give you the power to solidify your professional history, articulate your aspirations, and make connections that transcend LinkedIn to create real career opportunities. These changes combine to do one thing: create a deliberate, active professional brand in a single venue.